Hi from Cannonborough Collective co-owners Liz & Mimi! We recently had fun with some other female business owners for a gathering at Semilla, a local restaurant we love. 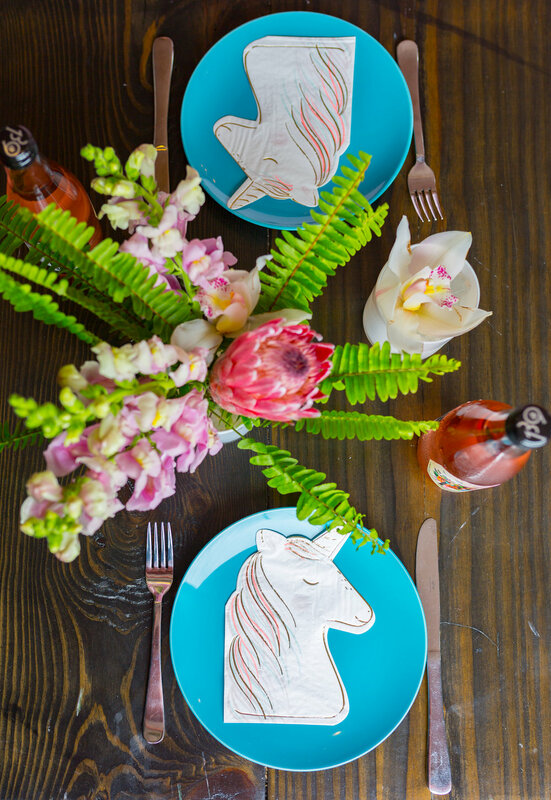 We used some of our unicorn themed party goods and balloons to decorate, so we hope you enjoy this visual inspiration for your next soiree. It could be just the ticket for a bachelorette party, baby shower, or special birthday! 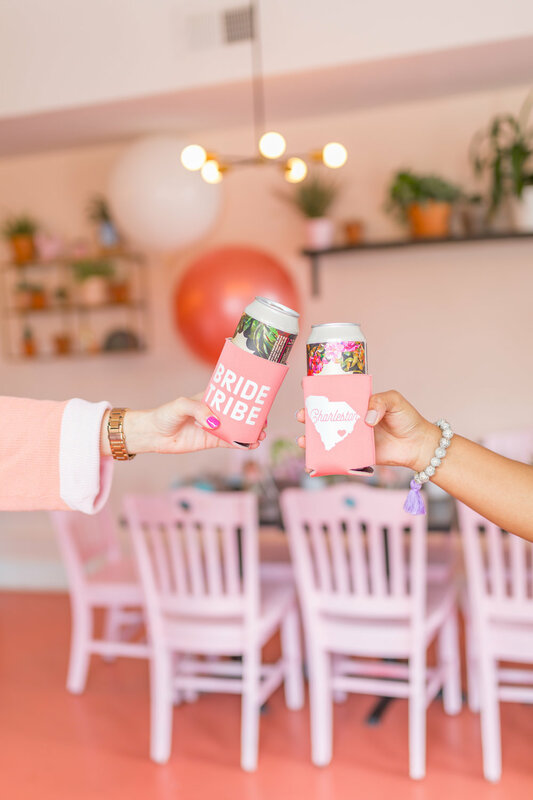 Have a look below to see some of the fun bridal accessories we have to help easily transform any soiree into something fun for the bride-to-be or your bachelorettes! 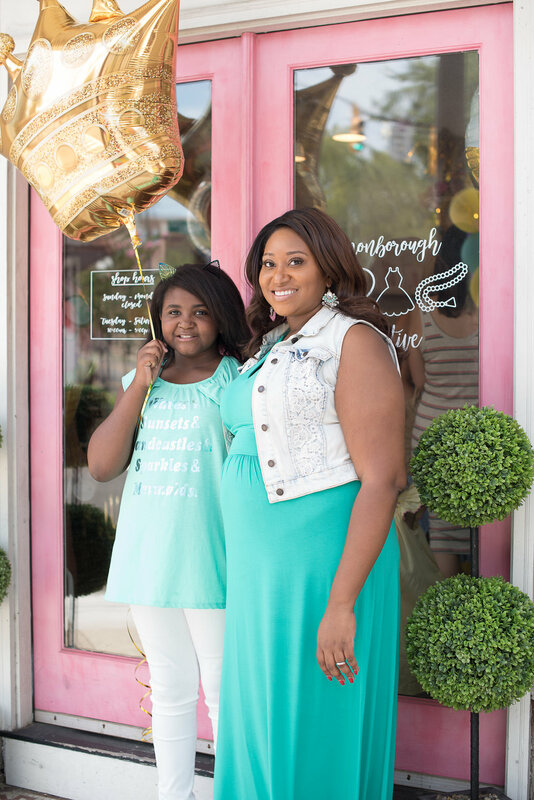 Follow us on Instagram to see more of our balloons & local Charleston goods! You’ll love learning more about this colorful local clothing company we started carrying earlier this year! 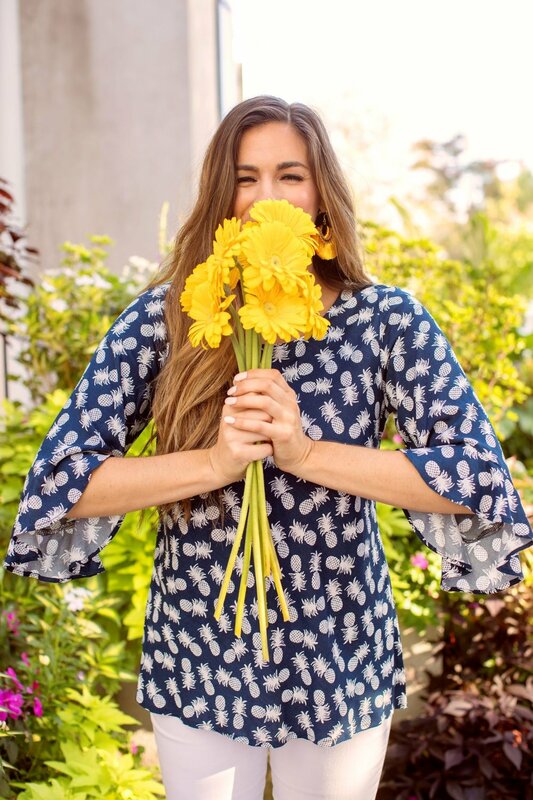 The gorgeous prints they create simply make us smile, and we hope you’ll come by to shop their spring/summer selection soon. Our goal is to add a little sunshine to the closets of women everywhere, but our mission to spread happiness doesn’t end with clothing! Escapada Living supports various charities both locally and abroad. The Escapada Living Children’s Fund was established 4 years ago to help support the local community in Solo, Indonesia (where our factory is located). We are so grateful for the community’s acceptance and support, and our fund provides care, school supplies, and new experiences for the children of two orphanages within the village. Our production manager is very much involved in the children's daily lives, taking them on fun excursions and constantly seeking out ways to improve their well-being. The Solo community has given so much to us, it’s nice to be able to give back. Where do I begin? I’m a big fan of Hart tassel earrings (Hart Hagerty), Charleston Rice Beads from Candy Shop Vintage, and the fabulous stationery from Texture Design Co...just to name a few! My new favorite restaurant is Melfi’s, but my go-to restaurant is The Obstinate Daughter. You have to try the Gnocchi alla Romana! The Pandora station at the office gets shuffled regularly, but I tend to like upbeat tunes when searching for inspiration! Tough question! Off-the-shoulder styles are so in right now, so I’d have to say the Tasseled Monica Dress and the Stretch-Knit Bonnie Dress. The Monica is super fun and flirty - perfect for a day out on the town! The Stretch-Knit Bonnie Dress is stylish, comfortable and cute! For tops, my go-to is our ¾ Sleeve Susan top. It’s available in both our signature rayon fabric and stretch-knit fabric. Today we are chatting with one of the brands we added this year, 843 shop. Our customers are just loving their custom Charleston tees & totes. Read on to learn a little more about them! All 843 Shop merchandise is designed and printed locally in Riverland Terrace. Charleston Grill, hands down! Though, I may be a bit biased, as I've worked at the Grill for the last year and a half. Right behind that are Chez Nous and FIG. Any 90’s hip hop or alternative. The Holy sh*t I love this City tee is currently my favorite shirt. It’s extremely simple but still fun and playful. create just for our store! Meet Our Makers: Graefic Design Co.
Are you ready to meet another one of our talented local makers?! Today we are learning a little bit about one of our long time vendors, Graefic Design. 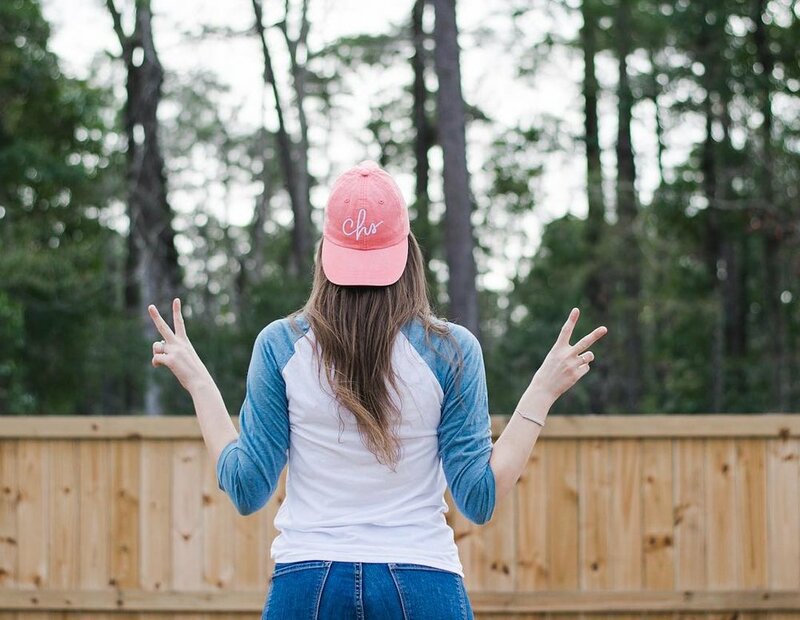 We carry their hats, mugs, baseball tees, & more. 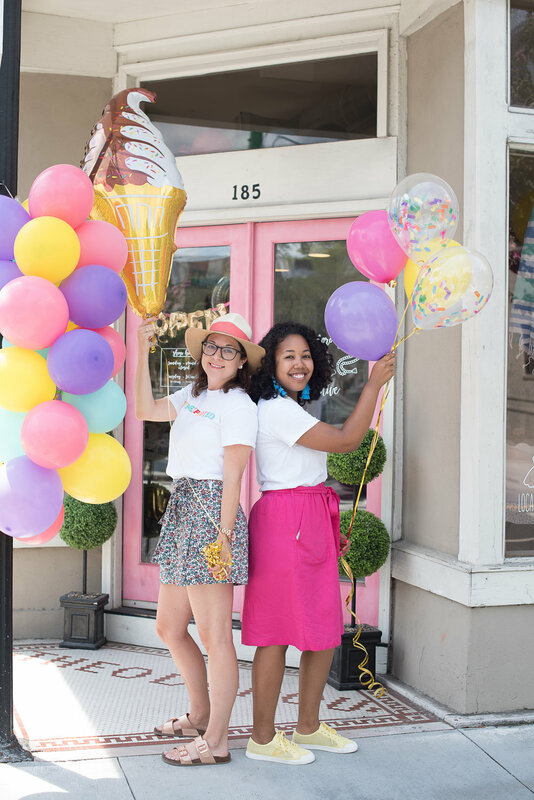 Read on to hear from their founder Alissa, and she shares how being one of our vendors even led her to develop awesome new friendships! I design all of my products and work with local companies to produce most of them. My cursive CHS logo is actually handwritten by me! I love to incorporate custom touches into each of my products so that you can truly have a unique piece! Kelley Wilds of Coastal Kelder. 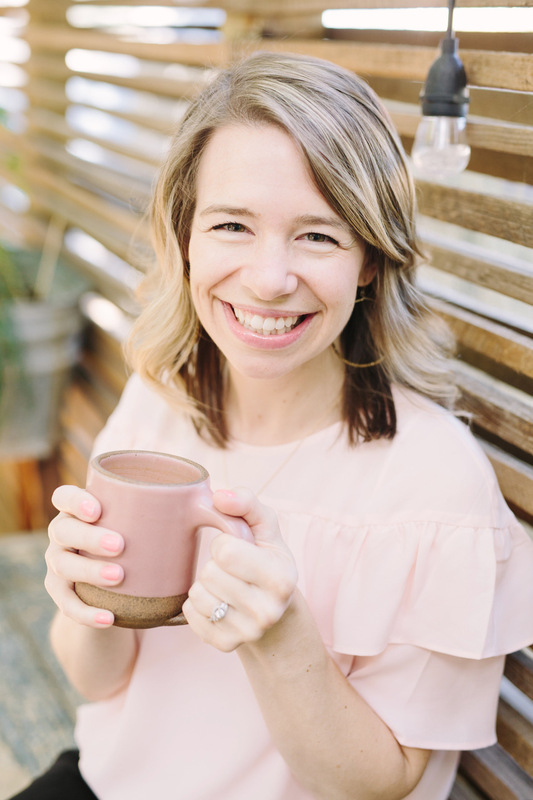 She and I connected via Cannonborough Collective during their one-year photo shoot, and we've been friends ever since! I love how much time and dedication she puts into all of her products and crafts. 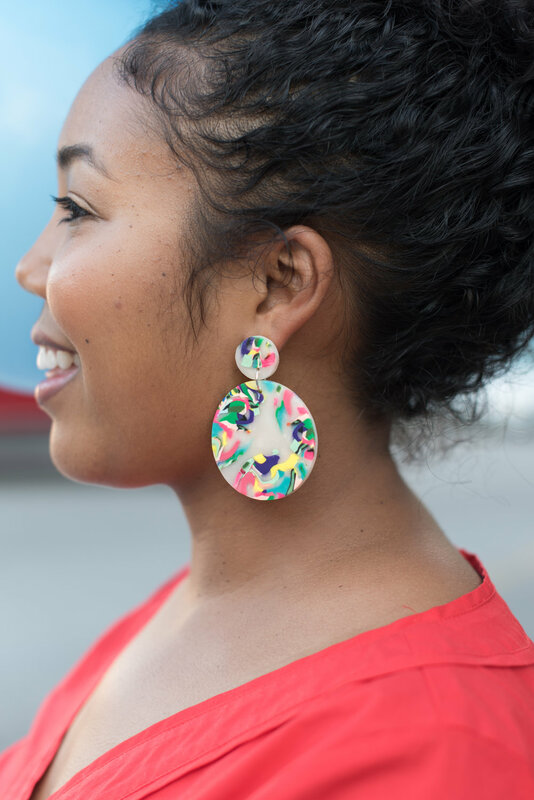 Each piece she produces is truly one-of-a-kind! Oh boy, how do I even choose? I think it depends on my mood (aka I'm always down for some good Mexican), but lately, I've been loving just going to LowTide Brewing and eating all of their delicious food truck options. The food truck scene here in Charleston is unreal, so you can't really go wrong. My two favorites are probably Dough Boys Pizza (their brussel sprout, bacon, honey pizza is insane) and Chicken Fats (try the loaded tots... you're welcome). Again, depends on my mood. I could go all out with 90's Hip Hop, or on the other side of the spectrum, I could totally get into a groove with music from Van Morrison and Ray LaMontagne. What is your favorite product you offer right now and why will people love it? Oooh, this is a tough one! I'm LOVING the new distressed Riley Caps. The colors are perfect for this year and they have my handwritten CHS logo on the front. I also really love our Magnolia mugs! We're gearing up to offer custom vinyl on the back of them so you can rep your love for Charleston while also personalizing it and making it truly unique! Stop by our shop soon to check out all of our fabulous Graefic Design products! We are so thrilled to introduce you to our latest vendor, Charleston Hemp Company. There are lots of misconceptions out there about CBD oil, but no, we aren’t selling marijuana! The difference between hemp and marijuana is the ratio of THC to CBD; hemp products have a higher ratio of CBD, and less than .3% THC. Charleston Hemp Company works closely with MUSC to test their products, and so far we are the only downtown shop carrying CBD products (vape pens, oils, salves, and more!). Come by soon to see our selection, & read on to get to know Malia from Charleston Hemp Company and their products a little better! Benefits vary per person and can differ based on other factors like your diet, body composition, etc. Known possible benefits include pain management, combatting anxiety, anti-seizure properties, reducing side effects from cancer/cancer related treatments, and even assisting with sleep. CBD is also known to have anti-inflammatory properties and can potentially help conditions such as acne. What’s your favorite product of yours right now, and what was the inspiration behind it? I love our salve. There's 100 mg of CBD in each 1oz jar. I think a lot of people who are skeptical of CBD and don't want to try it orally go for the salve. Within 30-40 mins, people will come back and tell us what a difference they feel. It's simple, topical, and great for spot treatments. It can literally go on anything and everything and I feel like it really works. Sunburns, bug bites, joint pain or even muscle cramps after a workout. We designed our packaging and labeling after the 1914 $10 bill. They are actually harvesting a hemp filled on the back of the bill! In most states, it was a requirement to grow hemp since it was used for the majority of different textile products. The first American flag, by Betsy Ross, was actually made out of hemp as well. These days, regulations only allow for 20 South Carolina farmers allowed to grow industrial hemp. Charleston Hemp Company is one of those! Who is another local maker/company you admire? There are so many that go to local markets that we have created great bonds with, but R&R Acres and their local honey/chocolate covered honey are delicious! What’s your favorite song to jam out to while you're working on your farm or heading to a local market? Throwback playlists on Spotify, songs that everyone pretty much knows and have jammed to at one point in life. Besides in our shop, where can people find you? Head here for dosing info, here for information about using CBD for your pets, and stop by soon if you have any other questions we can answer! They're your favorite local dog brand, and ours- Crew Lala! We wanted to share their inspiring story with you, which was recently featured on Etsy's "Seller Stories" series. Click above to watch the short video all about their fabulous company. We All Scream for Jeni's! 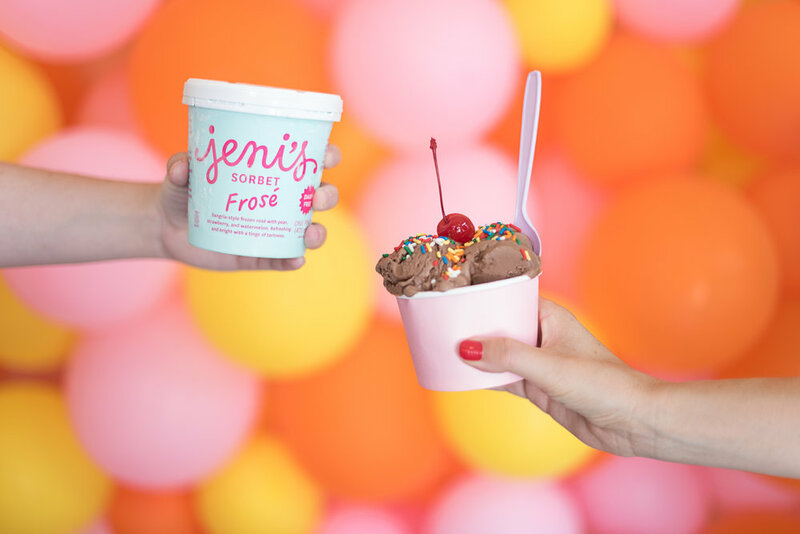 We recently celebrated National Ice Cream Day with a little help from our friends at Jeni's and some awesome Charleston creatives and influencers! 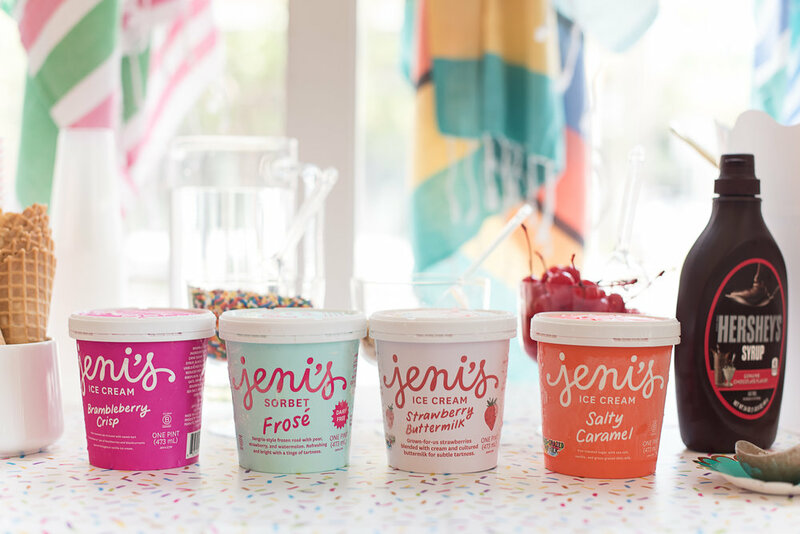 Jeni's provided us with 2 boxes packed full of an assortment of their awesome flavors. We tried a BUNCH of them, and they were all super delicious! Everyone got to pick their favorite flavor and add plenty of toppings to make very Instagram-worthy creations! It was a day full of lots of picture taking and great times. We provided plenty of balloons for the occasion, of course! Make sure you follow us on Instagram so you stay in the loop about all of our shop events!